-Donald Abraham, "On the Defense of Dungeons" ca. 2073. The above quote may be complete fiction (or is it) (it totally is) (maybe), but it's seeming increasingly likely with the amount of work being done on Dungeon Defenders 2. This new patch, dubbed "Loot & Survive", adds a load of new content to the game. First and foremost, it increases the player level cap from 25 to 50. A straight level increase in and of itself wouldn't be all that interesting, which is why Trendy Entertainment has thrown in plenty of new modes (Onslaught and Adventure), difficulties (Easy through Nightmare IV), and balance changes for players to explore as they make their way through another 25 levels. For newer players, they've added a tutorial mode, which should help you bring your three buddies up to speed on how best to ruin your intruders' days. Maybe they're not sold on the idea of dungeon defense, though. To entice them, you could perhaps hint at the fact that player pets have been revamped, allowing them to evolve and gain all new abilities. Of course, this patch dropped a few days back, so the developers have been hard at work releasing hotfix after hotfix to address player feedback. They seem to be very receptive to community concerns so far, so be sure to let them know of anything that doesn't seem quite right (and let's be honest, it's Early Access, meaning you probably can't swing a tower without hitting some form of bug). 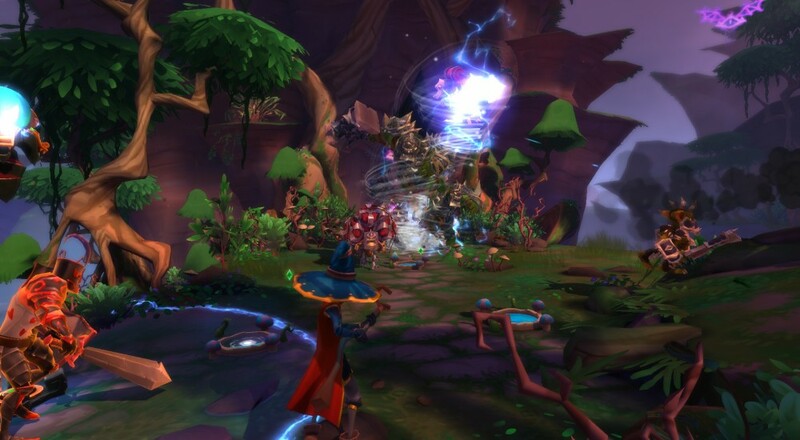 Dungeon Defenders 2 is currently available on Steam for $14.99, but it's worth noting that the game will change to free-to-play upon full release.